I have wanted blueberry bushes forever for our farm. I finally decided that this is the year to plant them. 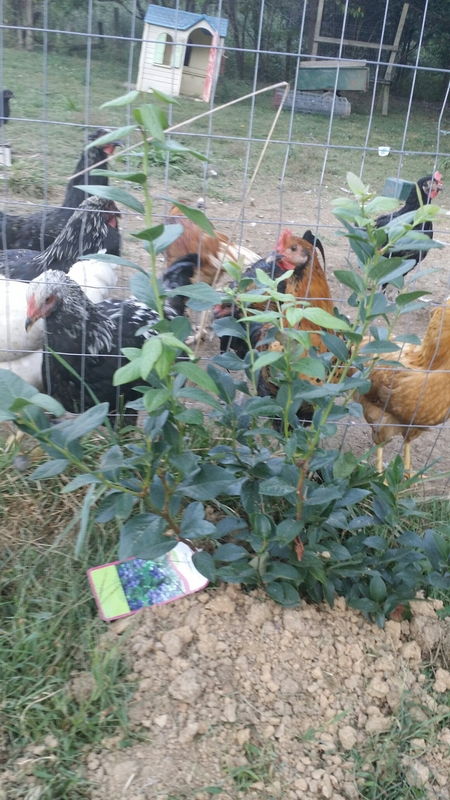 We bought one from Rural King, and it is an Elliott blueberry bush. We are going to buy two more of a different variety from Tractor Supply this weekend and get those planted as well. I’m planting them all along the fence of the poultry pasture. Hopefully next summer we will have tons of blueberries for all kinds of good treats! The hens are hoping for the same thing from the looks of it.